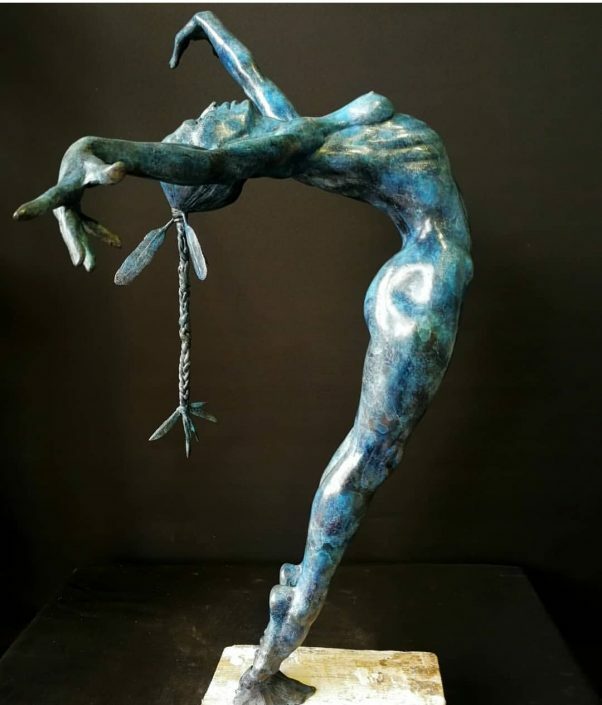 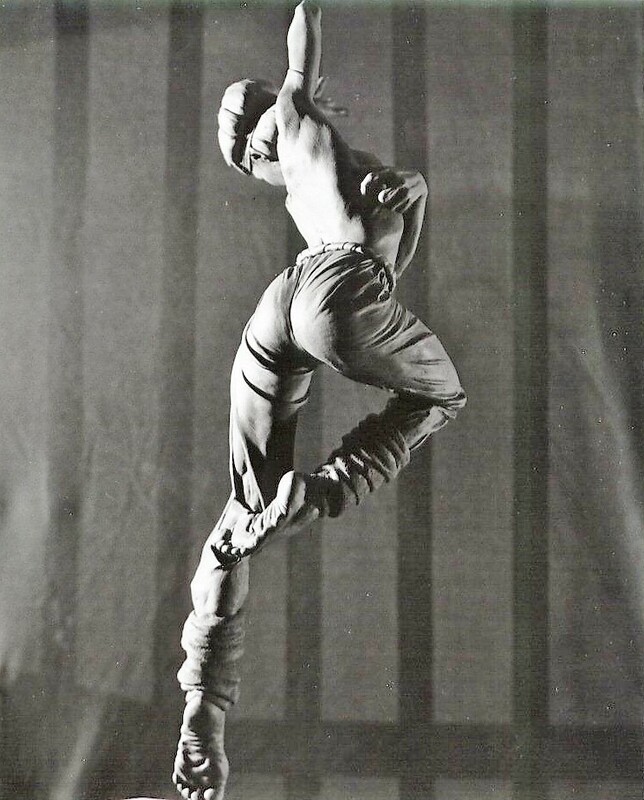 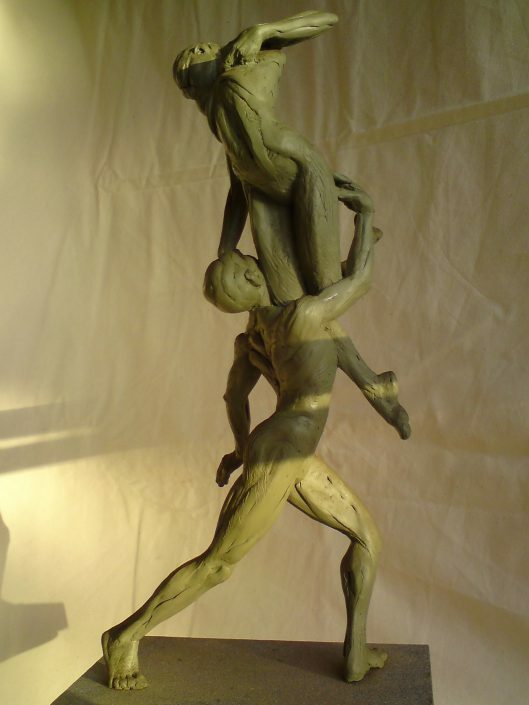 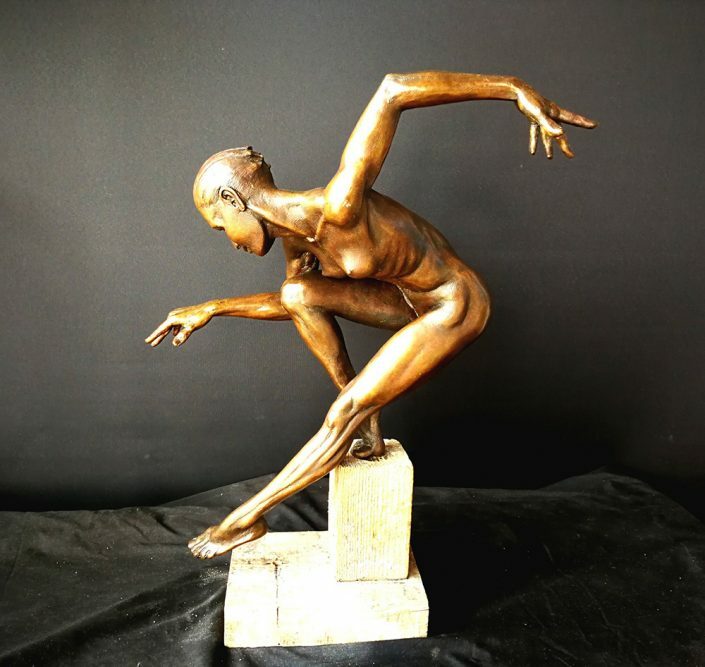 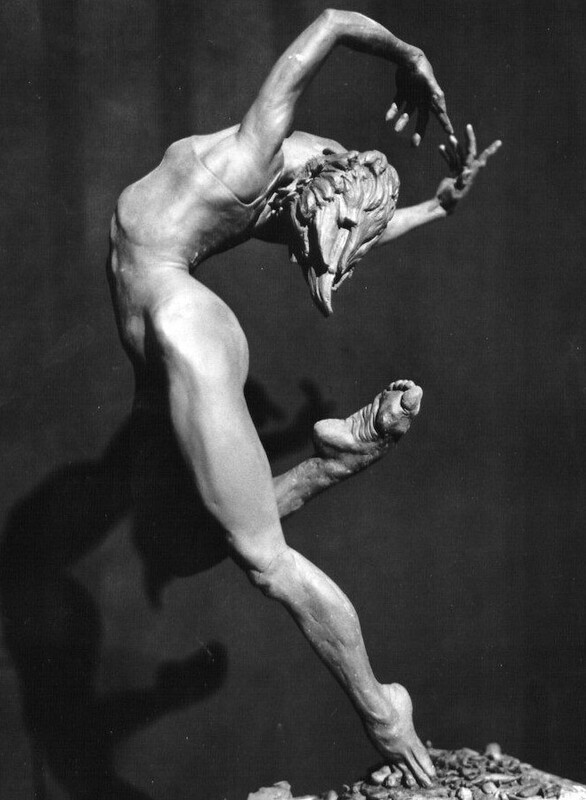 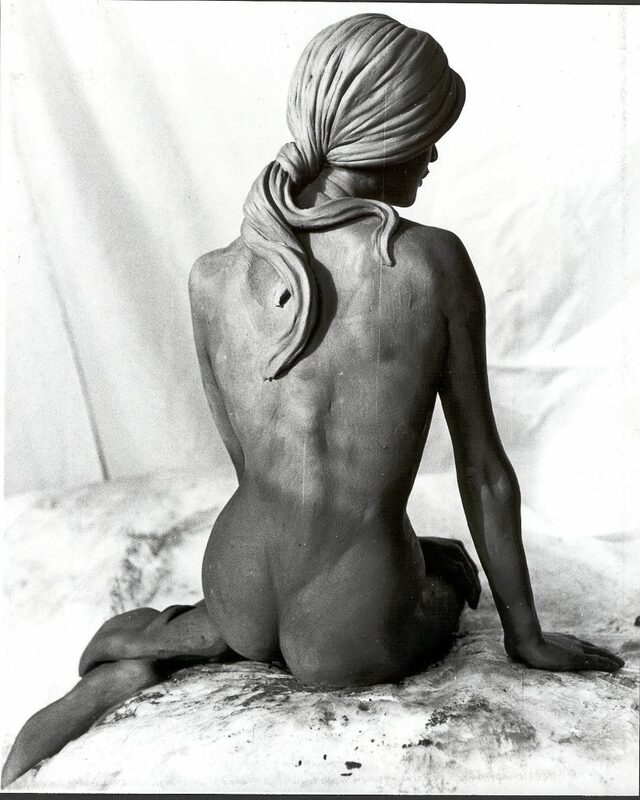 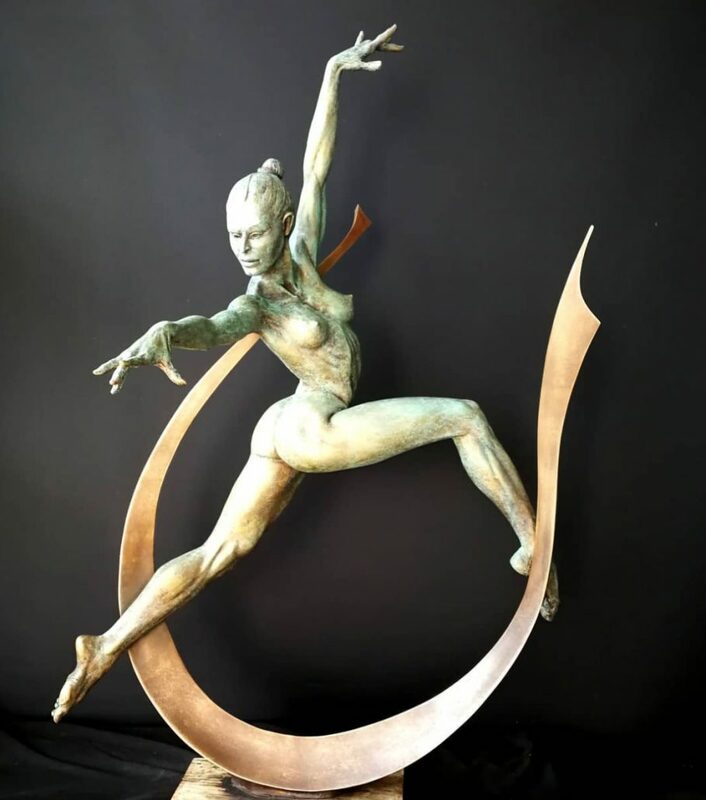 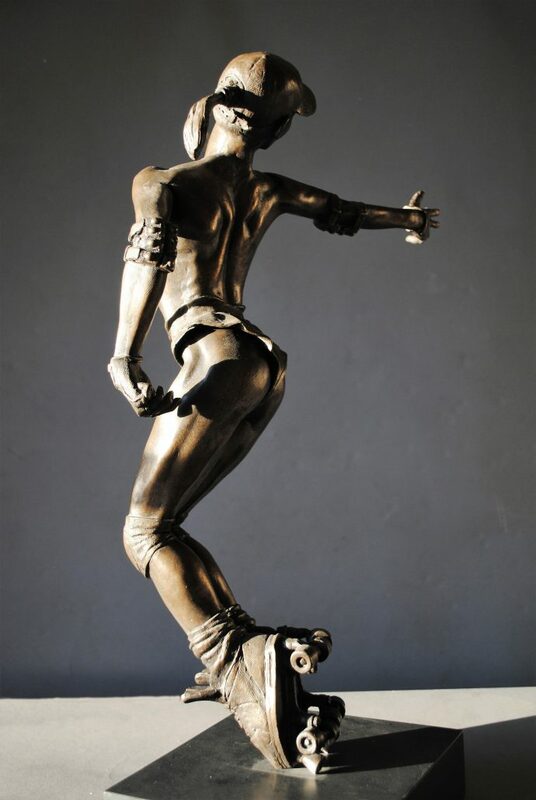 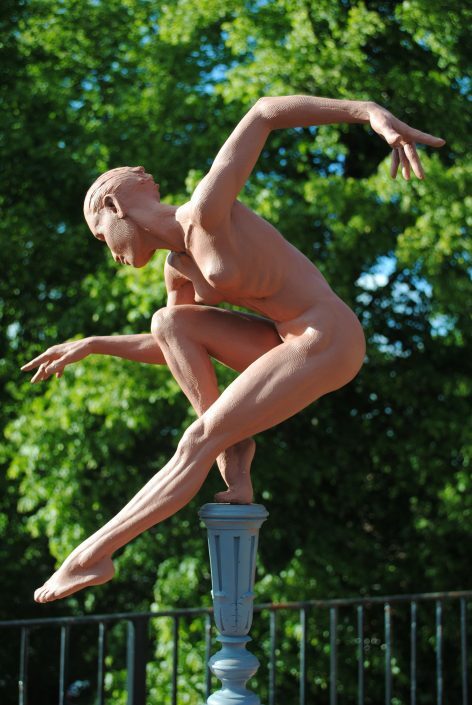 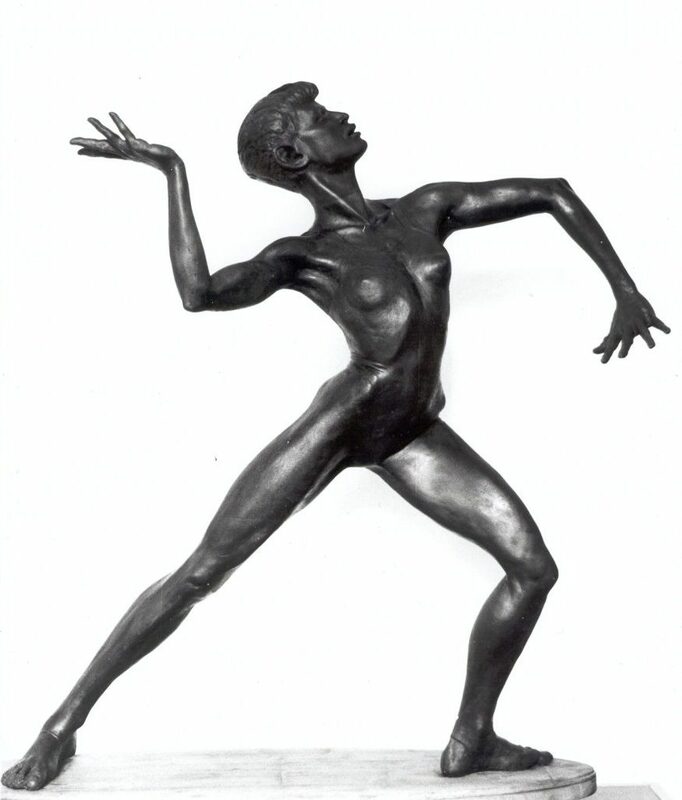 Mike Long trained at Goldsmiths in London in the 1970’s where he was able to develop his passion for sculpting the human form, particularly dancers and athletic nudes. 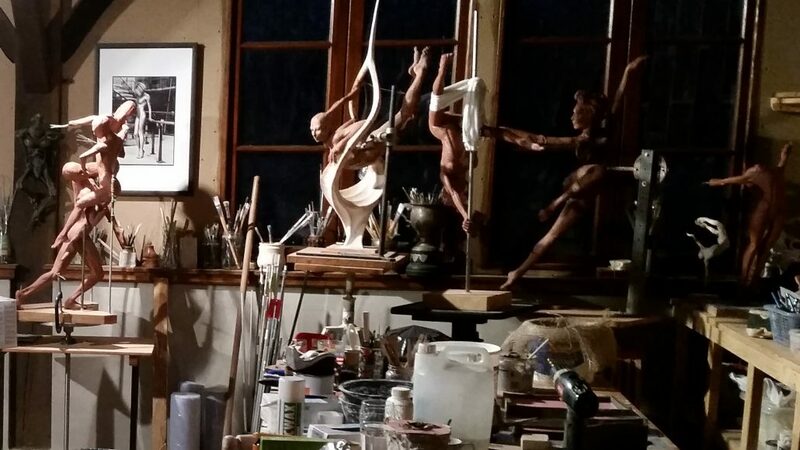 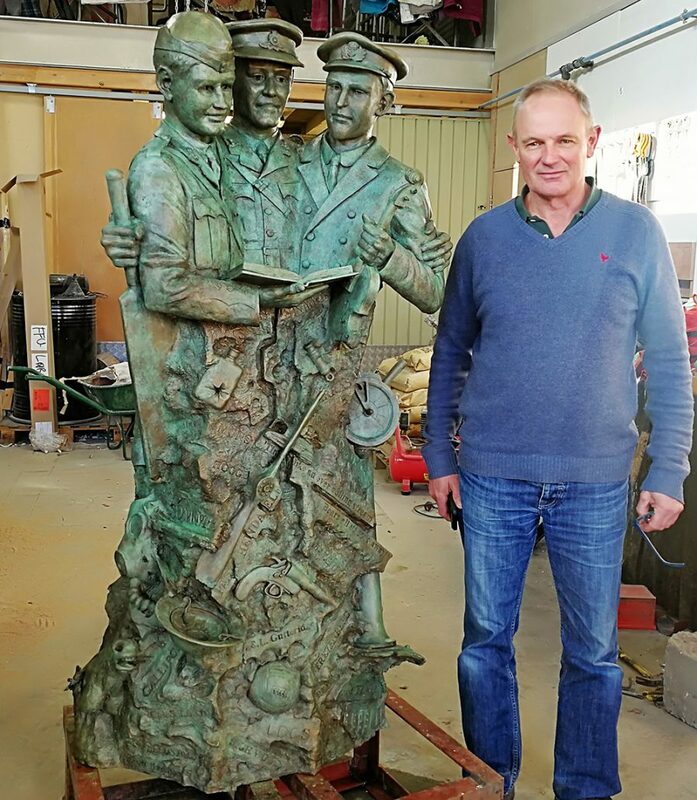 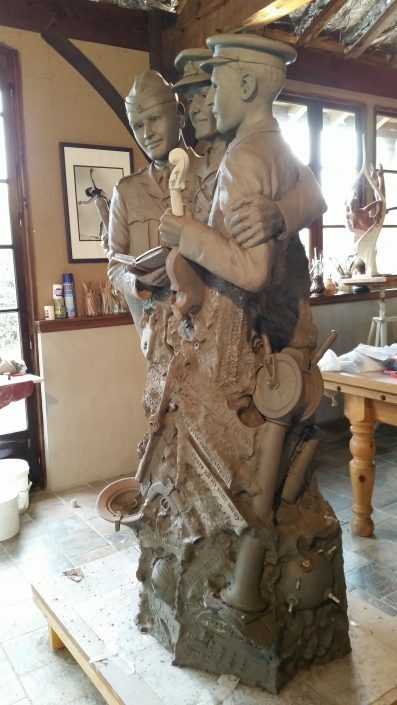 After a long career in teaching Art at King Edward VI in Southampton, Mike has moved to France where he is establishing himself as a figurative sculptor. 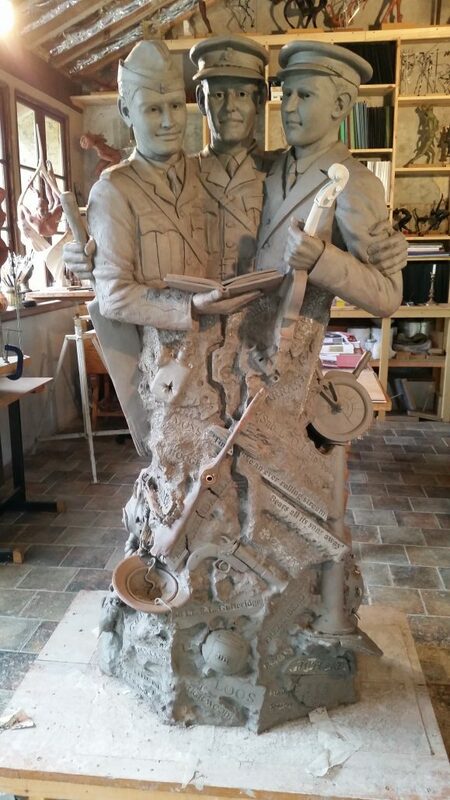 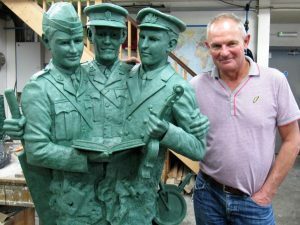 Most recently he has been working on a war memorial sculpture to mark the centenary of the ending of WW1. Mikes work is in numerous private collections and has been exhibited in galleries in London and several in America. ‘I try to capture the strength, beauty and sensuality of a dancer or athlete and a great deal of research goes into each piece’.